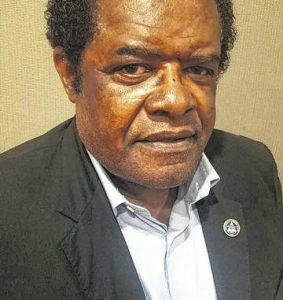 A Robeson County school board member running for NC Senate in November — who appears to have been a significant vehicle for disbursing payments to GOTV “consultants” — has not communicated officially with the state board of elections since October 30 and has not submitted his final campaign finance report. The deadline for filing Q4 campaign finance reports was January 10. John Avery Campbell (D) lost to NC senator Danny Earl Britt by a margin of 63% to 37% in November. Campbell and his campaign were scolded by the state board on a number of occasions. In August, the Campbell campaign was threatened with a “notice of termination of active status” for failing to submit a Q1 finance report. According to the state board website, first quarter reports were due on April 30. Campbell’s Q3 report showed at least $7500 going out to GOTV “consultants”. A fourth quarter report will likely show more. The problem? Campbell and his team are dragging their feet on turning it in. The work of these consultants usually centers around a ticket or slate of candidates. So, a consultant working for a Democrat will likely benefit ALL Democrats on the ballot. The Ninth Congressional District race is in limbo due, reportedly, to concerns about the work of GOTV (get out the vote) consultants. The consultant at the center of the Ninth District controversy was reportedly paid $7000. This whole ordeal with Campbell certainly raises questions about the efficacy of the North Carolina State Board of Elections. We have a candidate who regularly disregarded deadlines and campaign finance rules. Yet, he is only required to forfeit less than $500 and pay a $500 fine. No action has yet been taken on Campbell’s Q4 campaign report, which is already twelve days overdue. Last check Ronnie Patterson who ran for Robeson Sheriff and was part of the Tag Team with Campbell and GOTV hasn’t filed his either. And as usual the NCGOPe is Missing in Action over this, as in all the other Democrats shananigans in this district. The NCGOPe is utterly worthless.